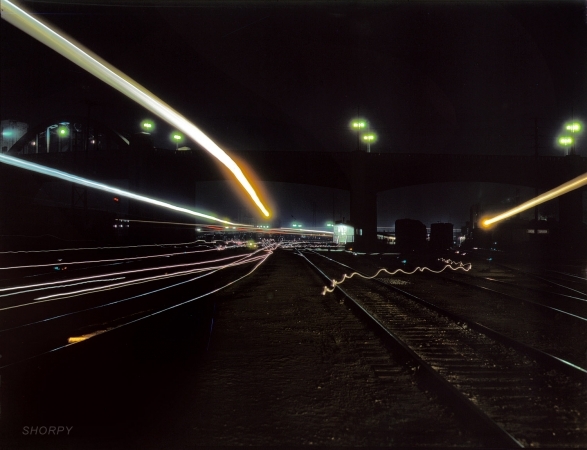 Time exposure of locomotive headlights and switchmen's lamps. Santa Fe R.R. yard, Los Angeles, Calif.